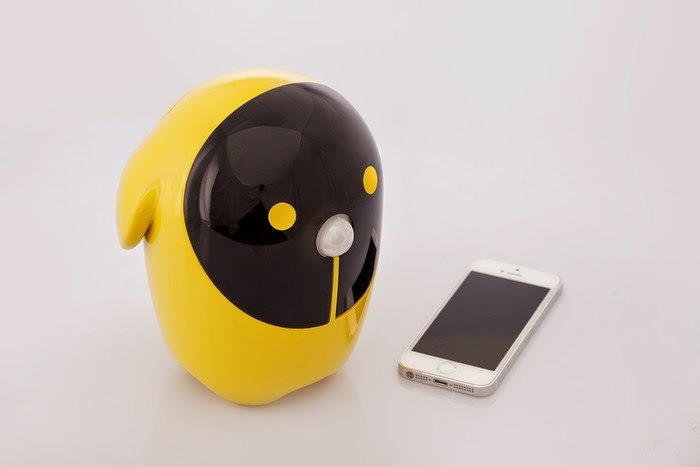 Collection of 'Smart and Coolest Smartphone Gadgets' from all over the world. 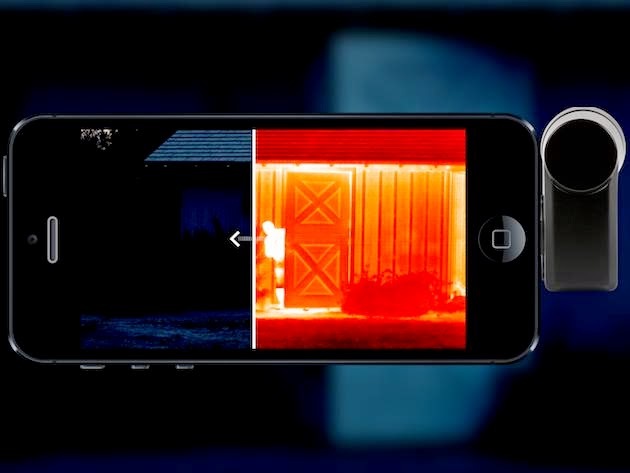 Seek Thermal: Seek Thermal can be attached to an iPhone or Android smartphone and its app turns your device into thermal camera. 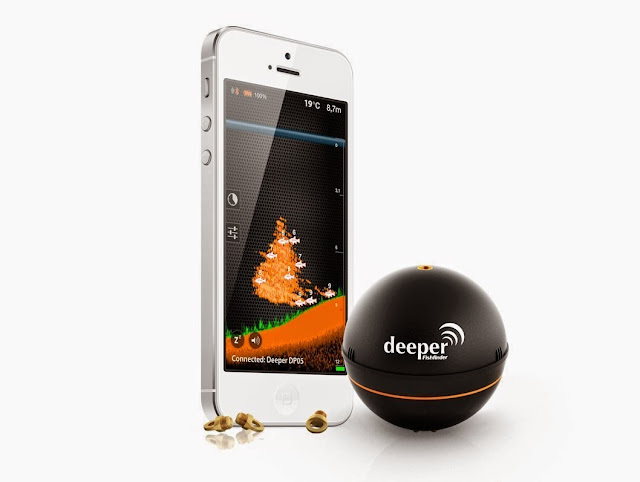 Deeper Portable Fish Finder: This smart, portable device connects to your smartphone via Bluetooth and shows information about the fish, the pond bed, water temperature and more on the screen of a smartphone. The smart sonar works in the depths from 0.5 m to 40 m (130 feet), and it works in both salt and fresh water. 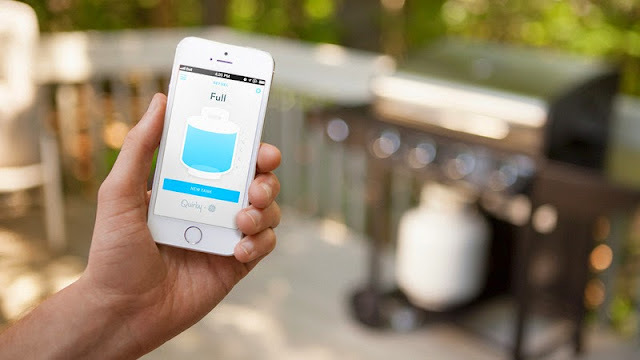 Refuel Smart Propane Monitor: The Refuel, Quirky's smart propane tank gauge connects to your smartphone using the Wink app and keeps you updated with propane levels and lets you know when its time to refuel. All you need to do is place your grill in range of a Wi-Fi network, and it allows you to monitor your propane supply. If there is no Wi-Fi or smartphone just tap the Refuel and it displays light reading of the propane level and the green light means go. 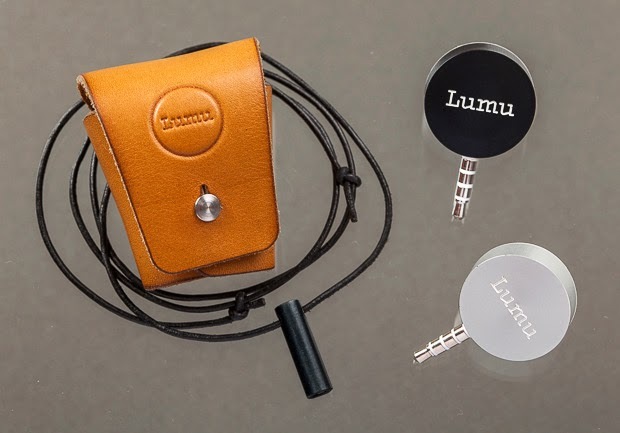 Vaavud Wind Meter V 2.0: It plugs into your smartphone's headphone jack and allows you to measure both wind speed and direction. Node+ Chroma Narrow: Node+ Chroma is a handheld color communication system that works like a color scanner and provides instantaneous information about the color from virtually any surface. 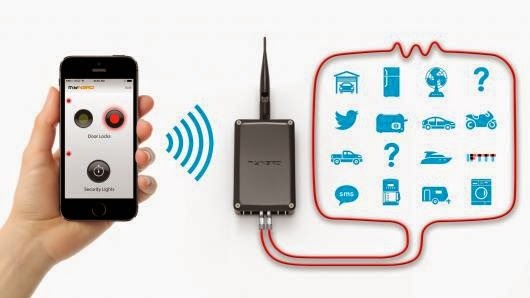 It transfers data wirelessly through Bluetooth to your iOS or Android smart device. @7PM: The Looq @7PM plugs into your smartphone's headphone jack and turns your smartphone into a universal remote control. 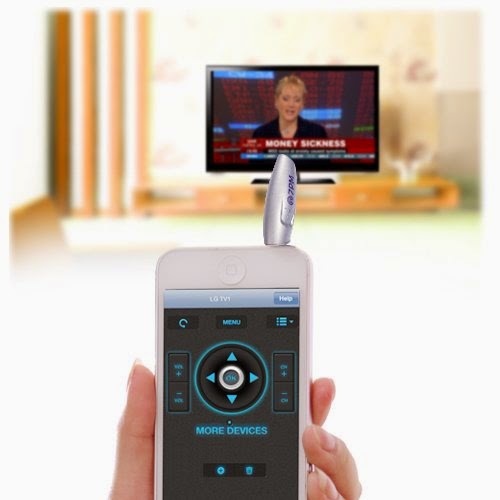 Allows you to change your TV, DVD/Blue-Ray player, or set-top box channels or volume; supports 9000+ devices, compatible with iOS and Android devices. 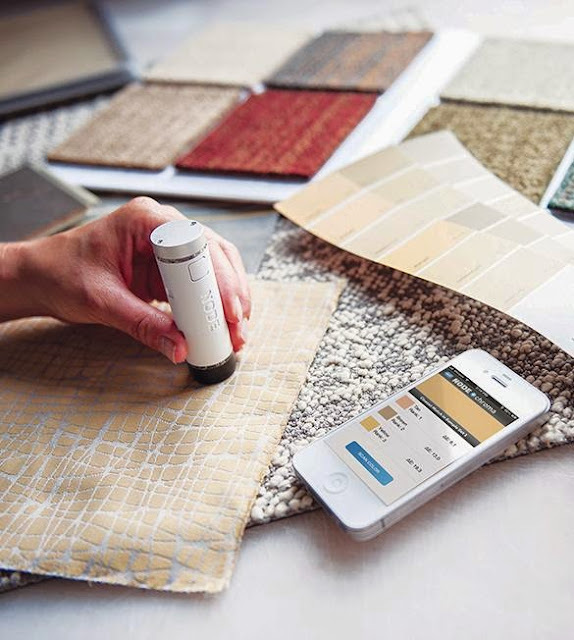 Bosch GLM 100C Rangefinder: The Bosch GLM 100C transfers and stores measurements from the rangefinder to an iPhone, iPad or Android device via its app. It can measure distances up to 330-feet with 1/16-inch accuracy. 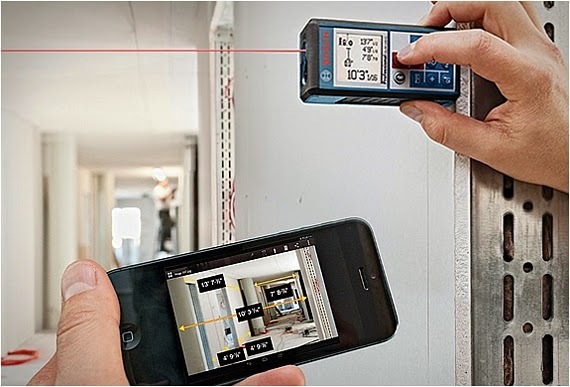 You can take a photo of the jobsite and the numbers can be superimposed directly on the image using the Bosch GLM 100 C measurement camera app. My N3RD: My N3RD is Wi-Fi device that allows you to control any device from your Smartphone. And it requires no router or Internet. 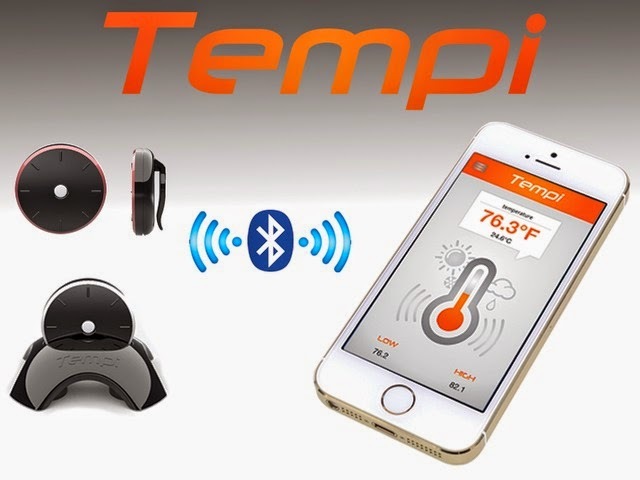 Tempi: Tempi is a small Bluetooth wearable temperature meter that measures the temperature in your immediate surroundings. 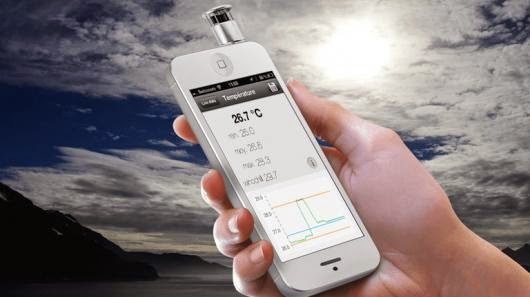 It connects to your smartphone using Bluetooth, and the temperature is displayed on its app. 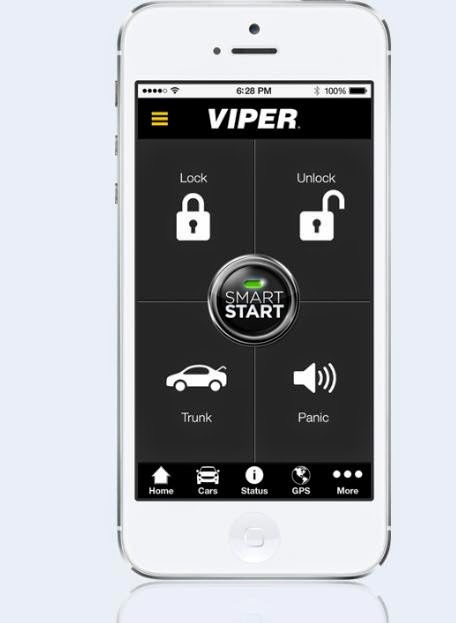 SmartStart: SmartStart allows you to remote start, lock, unlock, release the trunk, locate your car and more with your smartphone. 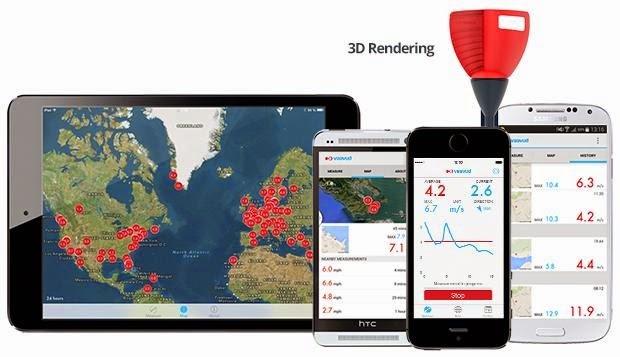 Fishhunter - Portable Fish Finder: Fishhunter is a powerful downward facing fish finder transducer that comes with a world-class fishing app for Apple and Android phones. 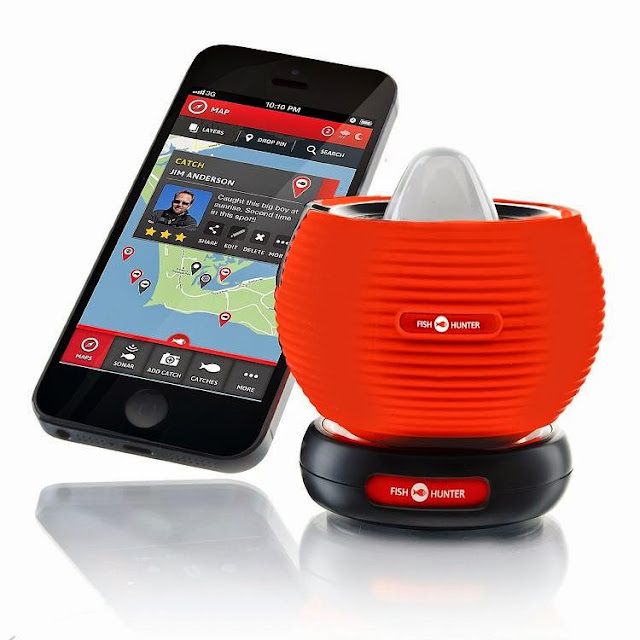 Just throw it into the water and it can interact with the app from 30 meters (80 ft) away via Bluetooth. It can track fish 36 meters (120 ft) below the surface. It finds and stores previous catch locations with GPS, tracks weather conditions and moon cycles; it provides water temperature, fish at various water depths and more. 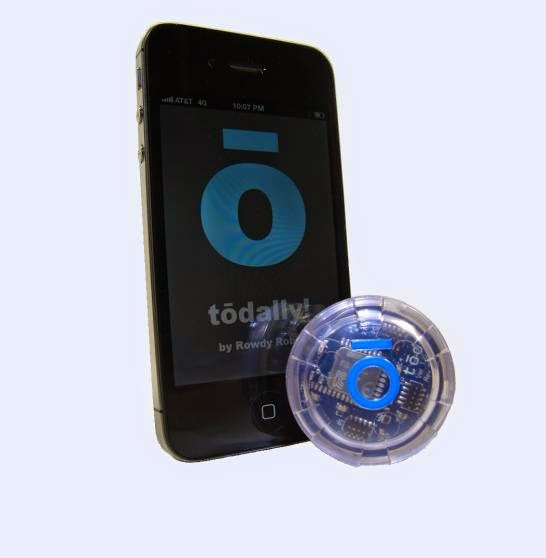 Tod: Tod is a smart beacon built on the power of Bluetooth 4 and it can be placed or attached to people or things. It works on three basic events of 'in range, 'out of range' and 'scheduled'. If your kid wearing the smart beacon has gone out of a predetermined range, it provides you with instant and automatic notification text, email or whatever notification method you choose. 15 Cool Kitchen Gadgets and Creative Kitchen Tools - Part 17.